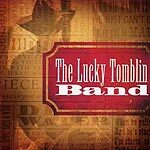 CD reviews: "The Lucky Tomblin Band," "Free Range Pickin'" and "Goin' Down South"
Lots of folks swear they hate country music when what they really hate is the slick, soulless easy listening coming out of Nashville. Much of the best country music, the most authentic, lovely music being made anywhere just isn't going to get played on the local country station. Not sure how the Lucky Tomblin ended up in our in-box almost two years after its release, but if not recent it's still a gem well worth discovering. Tomblin has a voice like the late Roger Miller's  warm and conversational and a bit world-weary, yet still full of optimism. The style is across between Tex-Mex and Western swing. For this album, Tomblin has surrounded himself with an all-star band  the great Redd Volkaert (Merle Haggard) on guitar and blues super-session player Sarah Brown on bass; Earl Poole Ball lends a honky tonk touch on piano, Cindy Cashdollar's steel and slide guitar work gives a blues edge to the proceedings, and Bobby Arnold's acoustic guitar joins Brown's bass to provide a low-end underpinning to everything. But what makes this album such a treasure is the songs  the opening track, "Ain't No Piece of Cake" (written by John Legg) is the sort of classic, timeless country song that George Strait could have made a No. 1 hit a generation ago when country radio still played country songs. "Never Slept a Wink" (J.R. Chatwell) is a near-perfect honky tonk love song, as is Tomblin's "Dancehall Sweetheart." And on Peter Keane's "Illegal Man," Tomblin breaks free of all cliches and sings about the alienation of migrant workers. But it works as a country song, despite the very non-country topic, because of Tomblin's sympathetic vocals and the stellar cast behind him, which caresses the gorgeous melody. Free Range Pickin' is a bluegrass band hailing from Minnesota, but they play with as much rural twang as any band from south of the Mason-Dixon Line. They play an uptempo, accessible blend of bluegrass and country with some modern rock influences as well  reminding of a bit of newgrass acts like The Acousticats or Killbilly. 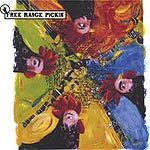 Built around an all-acoustic approach (mandolin, banjo, guitar, bass) and gorgeous vocal harmonies, Free Range Pickin' is both traditional and modern, as accessible as they are old-school. This blend is, in fact, a perfectly logical extension of Bill Monroe and Flatt & Scruggs to the present day. In "So Simple," written by mandolinist/singer Steve Schley, Free Range Pickin' gives us one of the most winsome country songs heard in many a year; their cover of "That's History" is equally classic. If, unlike Free Range Pickin', Delta Moon is from the Deep South (Atlanta to be exact), they sound at times more like they arrived on the spaceship gracing the cover of their newest CD. Delta Moon does for county and bluegrass what Skip McDonald has done for the blues with his Little Axe project  add distortion boxes and psychedelic influences and low-end dub bass and turn it into something modern and hypnotic while keeping all the twang. Think of it as acid bluegrass or house country or ambient Nashville. Beyond the intriguing combination of country-western and modern electronica, there's the basic musical talent here. In Gina Leigh, the band has a powerhouse female blues shouter, far closer to the gritty approach of Tracy Nelson or Janis Joplin than any SUV-driving Nashville diva of the past 20 years. Tom Gray and Mark Johnson provide the traditional sounds on a variety of stringed instruments. Drummer Scott Collison and bassist Jon Schwenke can switch from dance hall dub to Texas two-step in a heartbeat. It all makes for a very unique but intriguing vision of bluegrass and country, as well as for a great listen.